I want to get the result of M.Com [Banking And Finance] III Semester of Kuvempu University by Registration Number so can you provide me? 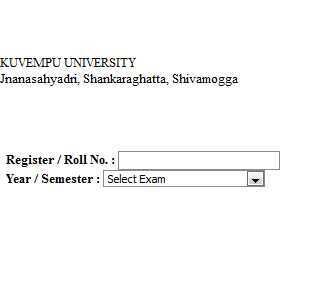 The result of M.Com [Banking And Finance] III Semester of Kuvempu University was declared on 07/04/2016. In this section, enter register no and select exam and then click on go button. I could not receive B COM First year Register Number. Plz send my Register number.